Sharp Packaging Services works across the world to create unique commercial and clinical packaging solutions for the pharmaceutical and biotechnology industry. They are made up of two dynamic international divisions, Sharp Packaging Solutions and Sharp Clinical Services. Together their 1,600-strong team works from state-of-the-art facilities in the United States, United Kingdom, Belgium and the Netherlands. They’ve built an exceptional global reputation for the design, serialization and production of innovative, cost-effective compliance packaging for even the most complex products. Their extensive range includes blister packs, bottles, pouches and stick packs, but their expertise goes far beyond, enabling them to support client products through every stage of design, development, manufacture and delivery. Their clinical services division is one of the world’s leading providers of innovative clinical supply chain services, with a talented and highly experienced team that can handle every aspect of customer supply chain. Their work spans everything from drug development and manufacturing to clinical supplies packaging, labelling, distribution, Qualified Person auditing and comparator sourcing. Web Site Design and SEO Client: The Enos Law Firm, P.C. AutoWeb are spot on the best web developers I’ve ever worked with! Ben is outstanding, and I have never worked with a project manager that will respond to me at all kinds of weird hours when I have changes or add-ons for my site. It was done on time and to schedule and TO BUDGET. Ben and his team listened to everything I wanted and were also supportive if my thinking was too crazy to get back on track. If you don’t use AutoWeb for your work, you’re foolish. Thanks Ben and Team !!!! Hayes Towing Electronics is one of the leading manufacturers of brake controllers and towing electronics in the U. S., serving the towing and RV Market for over 60 years. “I want to thank you for the great job you have done our website redesign. It was a pleasure working with the various contacts at your company. Everything was done in a very efficient and timely manner. I must commend you on that. I look forward to working with you in the future and I will definitely recommend you to my friends and business colleagues. Sun Diagnostics, LLC is a medical device manufacturer. We have used AutoWeb Technologies to manage our website for many years and have been extremely satisfied. They consistently provide superb customer service and communication regarding updates and changes to our website. They offer advice and suggestions for improvements while maintaining our brand. AutoWeb Technologies understands the unique needs of medical device, pharma, and technology companies. With the importance of ensuring proper and accurate labeling (including product information and claims on websites), it is imperative that changes be documented and approved prior to being posted. The AutoWeb Technologies Team works very closely with us to ensure that all changes are made appropriately. We look forward to working with AutoWeb Technologies as our company grows and expands. repairs as well as routine maintenance for vehicles of all types from MINI COOPERS to KIAS. Web Site Design Client: Northport Retirement Centers, Inc. I just wanted to thank all of you for the great job you have done on creating our web site. The work has been professional and the customer service is top notch. The staff have exceeded our expectations and goals in creating this web site. We look forward to working with your staff on any of our upcoming projects and will recommend you to our clients. Continue to keep up the excellent work. Your team has done a fabulous job with our site. People talk about companies’ needing to inspire confidence in their customers. Your people inspire a great deal of it. I hope all your customers are as satisfied as we are, because we are very grateful. You should be extremely proud and know you and your people are steering us in the exact direction we want to go. What we find most impressive about AutoWeb Tech is the service. When there is a problem with our site, they never stop trying until they find a solution. When we had a crisis involving our domain name, they started trying to resolve the situation immediately. it took time, persistence, expertise, and juggling 3 or 4 Internet administrative bodies (ICANN), but they got the problem solved. The same attention has been paid to additional technical problems we have had. Recently, AutoWeb updated our web site to give it a cleaner, fresher, look. They did this on their own initiative. Over the years, we have developed a great deal of trust in AutoWeb Technologies. The excellent service we have received, the attention to detail, their design expertise, and the low cost of their services have made an outstanding value to us. 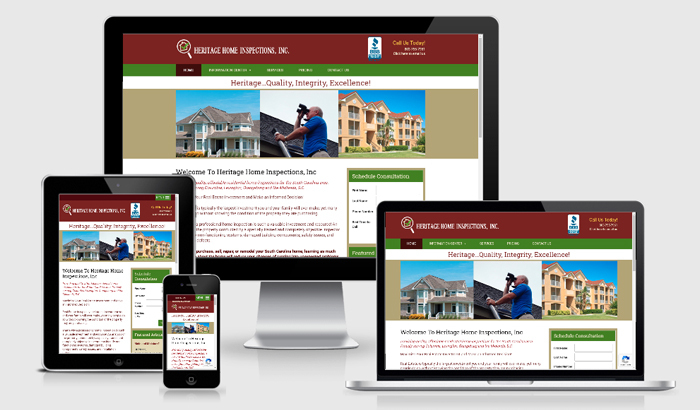 Web Site Design Client: Bel Air Foam & Roofing, Inc.
Bel Air Foam & Roofing, Inc., founded in 1967, is owned and operated by Bob McFadden, a second generation owner. They provide Duro-Last Roofing systems and Spray Foam Insulation to businesses in the Maryland area. They came to us with a very dated website that was not mobile compatible. Just a note to say thank you for helping us created a website that we are so happy with and excited about. You’re team was great to work with. I would highly recommend your company to anyone looking to not only create a website but update an existing one. About 18 months ago I had hired one of your competitors to design, host and manage my Agency’s website. That experience was exhausting, expensive and 100% unproductive. In fact after, working hours and hours with their 1-800 number creative team (or shall we say unmotivated team) and paying for the website, that site was never executed. Quite an exasperating experience with no return on my dollar and time invested. Well, it is said you learn from your mistakes, and I must have, because I hired you a few months ago! My AutoWeb Tech website is captivating! After meeting with you, explaining my business, our target market, products and compliance considerations, your company quickly proposed 3 initial layouts. Once we decided on the layout, your company proposed and delivered innovative designs. And you would think navigating a 60-page website would be complicated, but it is not, navigation is effortless. As a small business owner, I think it is necessary to recognize talent and superlative service. Your diligence and commitment was astounding! Every chance I get, I will send business your way. Thank you for making a calamitous situation into a pleasant experience. Thanks for all of your help with our e-mail and Web design. Our experience with Auto Web Technologies has been nothing short of wonderful. Their proactive and creative approach in helping us revamp our website was exactly what we were looking for in a web designer. Auto Web Technologies took great interest in all our needs and provided excellent technical recommendations that have truly enhanced our website. Their dedication and support in reaching our goals was evident throughout our entire experience. Their professionalism is second to none “ We highly recommend them. I can’t thank you all enough for the efforts you put into my website. Not having a website prior, I was somewhat nervous about my lack of creativity and how that would translate into a website. With your hand-holding and expertise, the website turned out great! AutoWeb came highly recommended to me by a trusted colleague and I would not hesitate to pay it forward! We would recommend AutoWeb Technologies to all types of business owners seeking business and exposure through the Internet. Their ideas, knowledge and promptness were much appreciated. Thanks for everything and your continuing support. I’ve been in the graphic arts industry for over 38 years and have dealt with numerous supplier and service organizations.The working relationship that AutoWeb Technologies established with us here at ITL Dental is commendable to say the least. What AutoWeb Tech said, AutoWeb Tech deliveredâ€¦and more! They are personable and business-savvy. I respect their no-nonsense approach and their problem solving abilities. No excuses, they did what they said they would do and we have a website we are proud of thanks to the relentless efforts of the AutoWeb Tech staff. I both have and will continue to recommend their services to anyone looking for a ‘first-cabin’ web development service. What a pleasure it has been, and continues to be, working with you folks! Web Site Design Client: Hodgson’s Automotive, Inc. I want to thank you for the time you put into our site. Every step was made simple and you made us part of the process until the end. You were a pleasure to deal with and I look forward to working with you in the future. Web Site Design Client: Crother’s Insurance Agencies Inc. It was a pleasure working with the AutoWeb Technologies staff on building our first website.They were quick to respond on any questions/concerns and they really took the time to keep us updated and informed throughout the whole process. We had 2 web sites to be developed and quickly put into productions. We contacted AutoWeb Technologies and they worked with us to understand our requirements and then engaging his team to build the sites. They worked with us closely during the rounds of testing and validations. It was an extremely smooth ride and the project completed flawlessly. We went live before we had anticipated. I can’t thank you enough for the exceptional work you and your team did to create a smooth transition under a time deadline. Your attention to detail, your personal follow ups, your willingness to answer any and all questions are exemplary and made me feel extremely valued as a new customer. You even took the time to train me immediately so that I could be empowered to navigate and use my site without any time delays. I look forward to our future work together and referring you to others. I can simply say that the attention to detail and the unparalleled service we received made my experience 100% ecstatic. They not only exceeded my expectations with the end result, but the entire process of working with them was a delight. These people clearly care about what they do, and are sincerely interested in helping other organizations be at their best when it comes to web design and optimization. Thank you. We just want to take a moment to thank each and every one of you for all of your hard work. You guys are patient, responsive to requests, and always willing to help when needed…without hassle! It is a pleasure working with your team and we are at ease knowing we have the support we need to maintain our professional website! Web Site Design Client: Shembarger Asphalt, Inc. I just wanted to thank you for the awesome job you have done on our web site. The work has been great and the customer service was outstanding. You and your staff were always on top of all of our requests and needs. I would definitely use auto web technologies again. Galvinell Meat Co. is a family owned and operated Barbeque Grill, Smoker, and Cooker sales and rental center as well as a custom butcher shop in Rising Sun, Maryland. 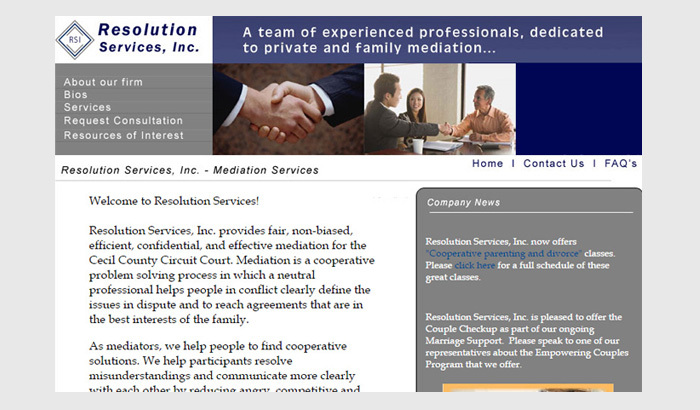 When we first started working with them, they already had a web site with some decent text content. However, it had a very dated appearance and was not very user friendly. They have a lot of information to share and expressed to us how important it was to have an attractive site where visitors could find what they needed quickly. Working directly with their staff, we were able to gather updated information and create a design that fit their needs as well as their budget. Total build time was about 3 weeks. Great group of hardworking people. We here at Galvinell Meat Co. Inc. are very pleased with the great service you have provided us throughout this process. I am especially pleased with the customer service we have received, your quick responses and patience has been appreciated. The comments we have been receiving from our customers has been phenomenal, the look of the site and the customer friendly access to the entire site has been the most comments received. We have also seen quite a significant increase in new customers to our business, which we believe is a result of our new website. I would like to tell you how much I appreciate your quick efficient service for our company. I know there were times that it was difficult to obtain the information from us, but I greatly appreciate your patience and persistence. I am thrilled with our website. You company certainly provides top quality graphics and design. We are happy we chose Auto Web Technologies for our Internet/website needs. I look forward to working with you on an ongoing basis. Thanks again. Roger’s Kickin Chicken came to us because they have an extraordinary spice recipe for chicken, beef, pork and fish. They had a limited budget and nothing more than a “concept” of how they wanted to market and sell their product. They also needed to develop labels for their spice bottles. We recommended our E-Commerce Pro package for their business. I would like to express my thanks and appreciation to AutoWeb Technologies for the fantastic job that they did with designing and setting up my web page. I called around a bit before I reached them and everyone before him were way out of line with pricing plus they had some negativity about my idea of what I wanted. One guy tried to talk me out of using credit card setup for my site. How else was I going to get my sales money? Another said I didn’t need a web page and that it wouldn’t help my business. Their team are fantastic people to talk to and work with. They make sure you understand what they are going to do and email you information constantly to keep you in the loop of whats been done and what’s next. This company states they work for the small businesses, I will agree with that statement 100%. They let me know every time if any changes would be more cost effective or not. They advised me what to do or not to do and gave me choices to choose from and then let me decide which way to proceed. They even did my label designs for a very small fee and also found a company to print them. They didn’t have to go as far as they did. They could have let me do it myself. But they went the extra mile throughout the entire process. I am so glad to have found Auto Web Technologies. 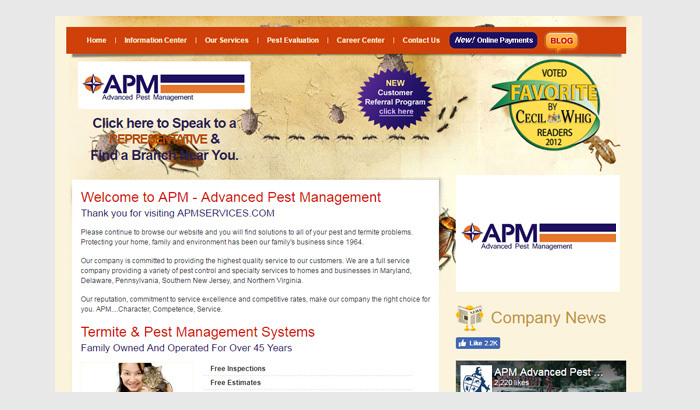 I will not hesitate to give them a HIGH RECOMMENDATION for website design and customer service and satisfaction. Paidon products was looking for new ideas and innovative ways to grow their business online. They are a wholesale provider of commercial janitorial and commercial products in the Maryland, Delaware, and Pennsylvania areas. After doing some research, we found that most of their competition had marginal or even non-existent web presences. We decided to come up with a clean and simple that would educate their visitors about what they do, link back to their catalog system, allow their customers to apply online for a wholesale account and online customer account access. We also integrated some educational widgets from an industry source. Timeline for completion – 4 weeks. I just wanted to take a moment and thank you for the sincere interest you took in creating our new website. The creative ideas that you brought to the table and how quickly you implemented them were greatly appreciated. Your team was very helpful and patient with us (sometimes we got side-tracked) as we worked through the project. I am very pleased with the finished product and look forward to continuing to work with you on future projects. We would like to thank you for your professionalism and your timely work to our website for our company. The design work and your staff were always on top of my requests and your quick response and cooperation during the process was extraordinary. We will gladly recommend you to our family, friends, and clients, and look forward to a working relationship in the future! Thank you for your great service and keep up the good work! As with any business, we are constantly a work in progress. Your flexibility and patience made putting our web site together far less of a chore that we thought it would be. Thanks again. You’re the greatest! 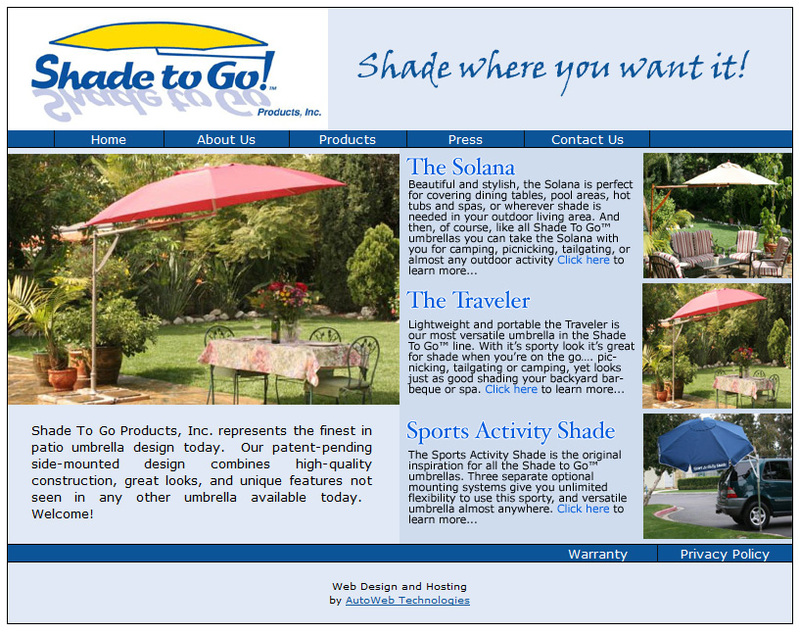 Shade To Go Products, Inc. I contacted several companies to update our website. I selected your Company for the project because you listened to our needs, you tailored solutions to meet those needs and, you kept us informed at all stages of the project. I want to thank you for a thoroughly enjoyable experience with the project – we are thrilled with the results and we look forward to a long standing relationship in the future! Rainbow Stained Glass is a retailer of stained glass tools and supplies for the stained glass industry. They have a retail store in Bristol, PA and came to us needing an affordable, effective way to sell their products online. They provided some great content and design feedback to help them achieve the web presence they were looking for. Best of all, they have a easy to use shopping cart and administrative panel for managing the web site’s content. Great project and a fun group to work with. What a gorgeous website! We are so happy with the way it looks and the top-notch service we received. Each step in the website production process went smoothly and I felt comfortable with everything I had to learn along the way. I look forward to a great future relationship with AutoWeb Technologies and would be happy to recommend you. Monarch Benefit Associates is a consulting firm that specializes in multiple employer benefit plan compliance. 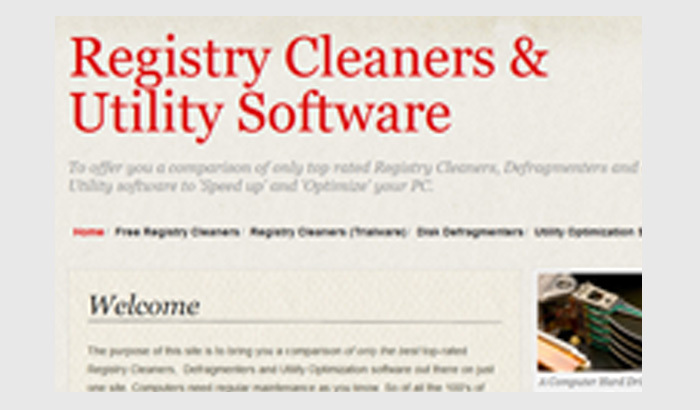 They came to us wanting a clean, professional site that was easy to navigate and direct. Not a lot of bells and whistles…just a good source of information for prospective clients. They are an extraordinarily nice group of clients to work with and we feel truly privileged to be their web services partner. Everyone who has seen our new website reacts the same way, “It makes such a good impression. We didn’t know you could do all that!” Remembering our original conversation, that is exactly what I told you our company was trying to accomplish. 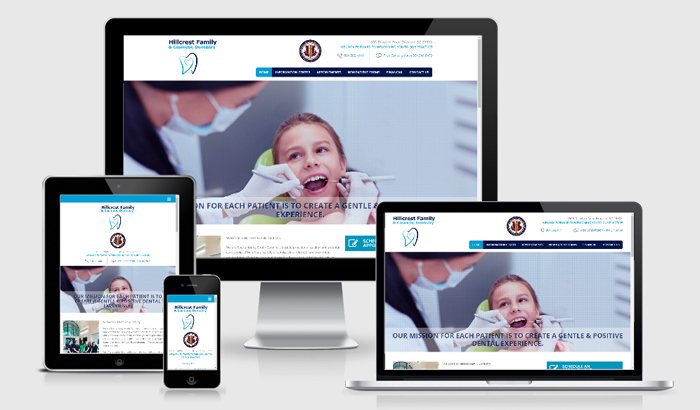 We wanted it to be straight-forward, easy to navigate, low-keyed and professional. Once we gave AutoWeb our color scheme and site copy, they created exactly what we wanted! Thanks again so very much. IT’S THERE!!!!! – I found Monarch with a search under ‘multi-employer health plans’ and there it was – number 2 even!!!! ..bigger than life !!!!! Thank you – thank you …it’s perfect!! I had an extremely good experience with Autoweb. I was calling about 10 different places for quotes for my company website. I found a very wide range of prices from $350 – $4500. The most important thing I was looking for is service. They took their time to explain everything they would do for me. I found Ben Vaughn very helpful in explaining how everything works from making the site, hosting, to search engine optimization. So far they have done everything they told me. There are a ton of web design companies but I think this company has the personal touch with its customers that no other big name companies can give. Thank You. Thank you. The website was perfect. The staff was willing to help and listen to all of our needs and concerns. We will be recommending you to everyone!! I am new customer of AutoWeb Technologies and have been very pleased with the quick and informative response to my inquiries about hosting my website, www.clintonhillschoolforpiano.com. as the high quality of their work and expert advice…freely given. They have instilled in me the confidence to choose them to host my site. I am pleased with the terms offered. I am also very pleased to be able to make changes myself to my website with their comprehensive Content Management System. This system gives me the ability to think very carefully about the information I wish my site to convey. We would like to thank you for all your creativity and diligence on our project. You have far exceeded our expectations with respect to content creativity and advice, as well as general functionality of the site. We appreciate your great patience in answering our questions and tailoring to our many requests. Have you ever called a doctor’s office or a specialist “after hours”? Sure, we all have. Most of the time, we speak to an answering service who relays the message to the Doctor or whomever when they check in. That’s exactly what A Better Answer in Bel Air, Maryland does. They started with a handful of customers and a lot of hard work over 25 years ago. They wanted something clean and professional that would generate more leads for their business. We created a web presence that profiles their services, company background, career opportunities, client references, a monthly newsletter, and a gallery of employee photos as well. We setup and maintain their email for them and also their Search Engine Optimization program that includes call recording and lead generation forms with metrics and monthly reporting. Great People, Great Company. Lot of fun to work with. There are times when a business is fortunate to connect with a company that carries out their projected plans. AutoWeb Technologies is such a company. We have been working together for a number of years on our web site and search engine optimization and we are so very pleased with the results. Thank you for guiding us to effective marketing results on the internet. We want to thank you for the outstanding job you did on both our web sites. Your suggestions along with the prompt response back to us exceeded our expectations. We look forward to a continued relationship and working with your company as we continue to grow our business. SquareR Partners new exactly what they wanted when they came to us. They were a bit cautious, and rightfully so, because they are professional money managers and it’s important that they are professional and find a dependable partner that they can count on. Thank you for coordinating and delivering an outstanding service in designing the website for SquareR Partners. I am already told by many friends it looks more professional than most things they remember about me! I can say I have every degree of confidence we will work together again. Not only you have provided excellent service but you stood by to keep adding finishing touches as I thought them up. I was a bit reluctant in the beginning to pay partly for the “promise” of future support, but I see now it was a promise well kept. Good luck and count on me for any future referrals I can send your way. Autowebtech has been a most professional company to work with It has been a pleasure doing business with them. We would have no hesitation in recommending them to other companies. We plan on using them for further projects we have planned. I am amazed at their great feedback of ideas from their obvious past experience. We couldn’t recommend them highly enough. I sincerely enjoyed my ecommerce website development experience. The quality and affordability of the work initially attracted me. The customer service provided sold me and is simply the best! As a result, my site exceeded my expectations and the response from my customers and new visitors is amazing! I look forward to working with AutoWeb Technologies as my business grows and will recommend them without hesitation. The Miller Law team is one of our oldest and most valued clients. We’ve designed and hosted their web site and have helped them grow with our SEO marketing services for many years. Nearly 10 years ago, we started using AutoWeb Technologies for all of our web site design and web marketing so that we could get more clients and build our law practice. Without question, it has been a GREAT decision. They handle every aspect of our online business for us We have acquired more clients and marketed our law firm more effectively because of my work with him and his company. Thanks for all of your help with our e-mail and Web design. After speaking with people all over the country, it was clear who we wanted to do our web design. Everyone we previously spoke with wanted to design our site, but didn’t want to listen to our needs. Starting a new business, we were on a limited budget and did not have a web site factored into the equation at all. When we told the other companies they came back with quotes in excess of two thousand dollars and a monthly fee, then wanted more money to change the designs if we wanted to add anything. They were more concerned about making the big ticket sale!!!! After our initial conversation, you did not promise anything and let us know that you would give us a couple of options BASED ON OUR CONVERSATION. You called us back with several options–all of them unique to our situation–which proved to me you listened to what we needed. Communication has been great, you always called me with updates without us having to ask whats going on. You under-promised and over-delivered. Our web site looks great and more importantly it does exactly what we were looking for. Thank you for all of your help. Pacer Data Collection is a startup that focuses on data survey/collection and distribution services for the Life Science/Medical Device/Biotech and Consumer markets. They required a web site that would allow both medical practitioners and consumers register to receive confidential surveys provided by a third party. The web site’s main objective is to allow user to register themselves and modify their profiles as needed. The site also needed to have a robust backend capabilities that would allow the company to modify site content, export user data, etc. We decided to really engage the client’s vision and make them part of the development team, to some degree. We had them work directly with our project managers and developers with their ideas and concepts. This allowed not only a sense of participation, but ensured that the client would get exactly what they wanted. What was enjoyable…Allowing me total involvement in the project! It was awesome to be part of your process….The turn around time was also incredible. The website development was a critical step in the start up phase of my business and the site itself will continue to play an integral role in key areas of my company. 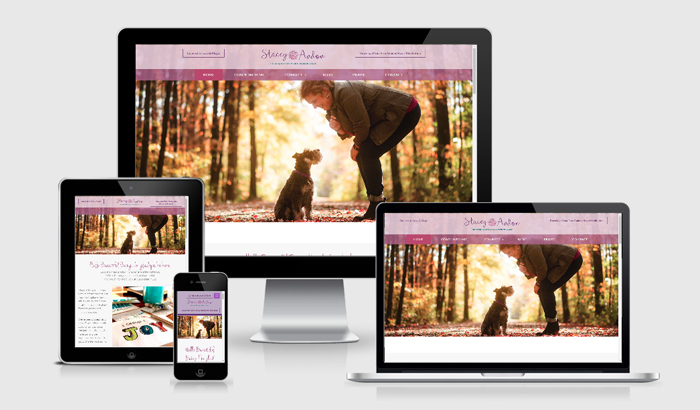 I had a vision for the look and feel of the site and you matched it perfectly! More importantly however is that I had certain functional requirements within the site which your team easily grasped and incorporated into the environment! Great job guys. I’m looking forward to a continued relationship with AutoWeb Technologies. Thank you so very much for all your help in developing our web site. It was the best experience that we’ve had since its idea. Working with you, your patience, reliability, honesty, quick responses to our e-mails, your customer service, immediately made us aware that we were working with professionals. Professionals of a high order. It was a truly refreshing experience. We didn’t think a people and a company like yours still existed. But you do. Thank you AutoWeb Technologies for being here and for our site. Thank you for bring the web structure we needed for our website. Our lack of having an updated website was costing us lost opportunities. I was concerned about our sales effectiveness, but now we have a website which has all the technology tools. The primary objective of AutoWeb Technologies was to develop a website that would address our weakness and establish a framework for an interactive website. AutoWeb Technologies showed me that our website was completely outdated. They provided a demo template to review, then put together a site that net our needs. They created a website that gave us instant response plus provided excellent support on line updates and a link to our questionnaire. We are pleased with Auto Web Technologies mission to help improve the image of Dietrich & Assoc,Inc.